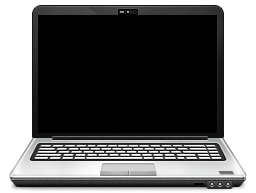 An affiliate program compares very well to other forms of e-marketing. This is mainly due to the fact that with affiliate marketing you only pay for the advertising once you have already received the results. This removes the risk of paying for advertising that does not materialise, or live up to expectations. With a PayPerPerformance affiliate program you simply cannot lose, as you only pay for specific results of your choosing, after you get the results then you pay your affiliate commissions. As an added bonus, an affiliate program can greatly boost the revenue increases for your conventional advertising. For instance, if you did a large CPM banner advertising campaign, you could get ££ in increased revenues, but the campaign could also lead to you gaining several affiliates, which earn you ££ more long after the CPM campaign has ended. You can also calculate ROI for any e-marketing campaign, see below 'Tracking advertising results' for details. 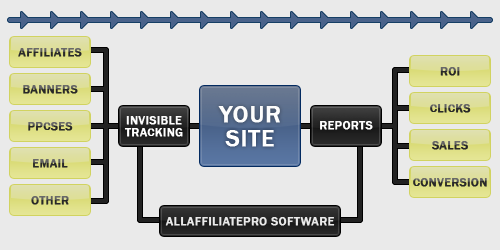 With an affiliate marketing program you only pay affiliates AFTER you have seen the results. There is no risk in being "ripped off" by fraudulent advertising programs, or paying for advertising which does not prove cost effective. If your advertising is only worthwhile if you pay less than £0.11 a click, then you can setup your affiliate program to pay affiliates £0.10 a click. If your advertising is only worthwhile if it costs below 21% of your increases sales, then you can setup your affiliate program to pay affiliates 20% of sales they refer.